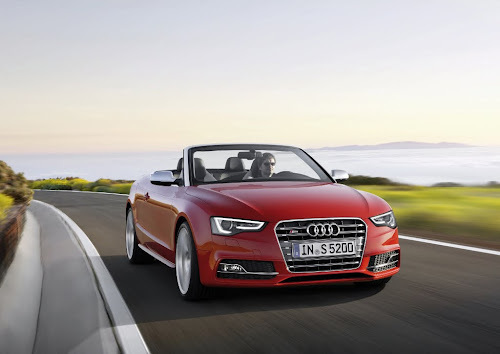 In addition to the press release and photos revealed in July, Audi has now provided us with a set of videos showcasing the Audi A5 and S5's new facelift for the 2013 model year. Although met with mixed emotions from many fans when first unveiled, we feel - after viewing these videos - that Audi's new design cues are a welcomed upgrade to the A5 model line. We've included official driving scenes and exterior/interior detail videos of the 2013 Audi A5 coupe, S5 cabriolet and S5 Sportback after the jump.